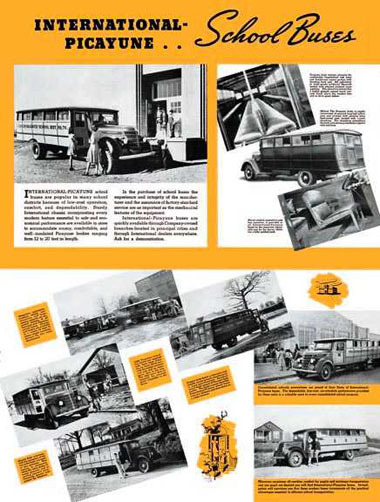 In 1979, Ward Industries filed for Chapter 11 bankruptcy. 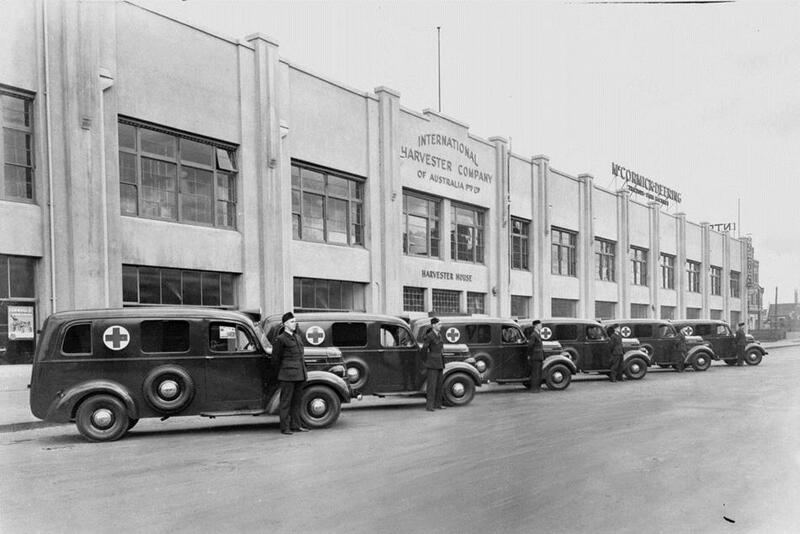 Arkansas Governor Bill Clinton was instrumental in forming a business group that purchased the assets of Ward Industries. 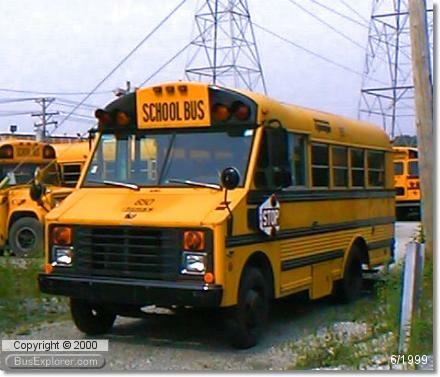 In 1980, the American Transportation Corporation (AmTran) was formed. 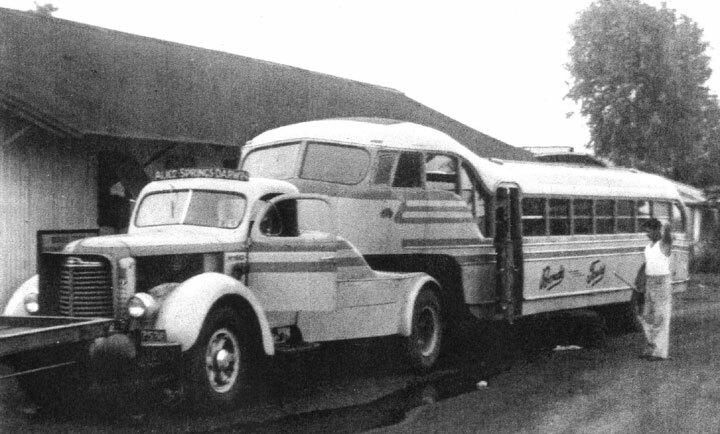 In 1981, American Transportation Corporation began doing business as AmTran Corporation. 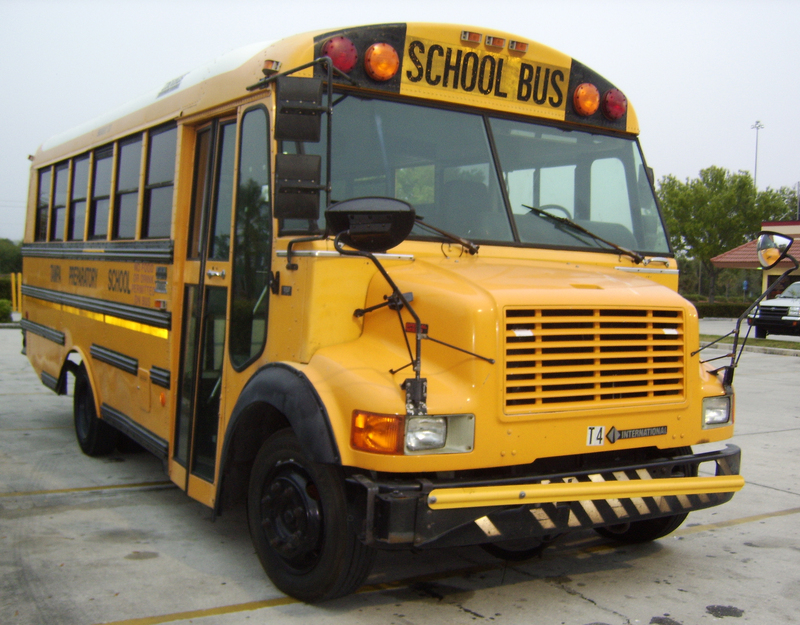 Due to market recognition, the Ward name was still reserved for school buses while the AmTran name began to appear on non-school vehicles. 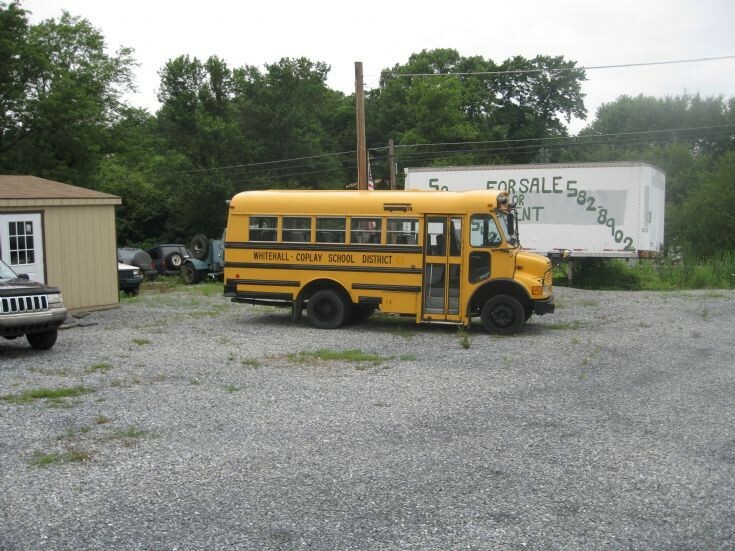 In 1983, a controlling interest of AmTran was purchased by Harmon Brothers, a Midwest school bus contractor and bus distributor; the company owned one the largest fleets of Ward/AmTran buses in the country. 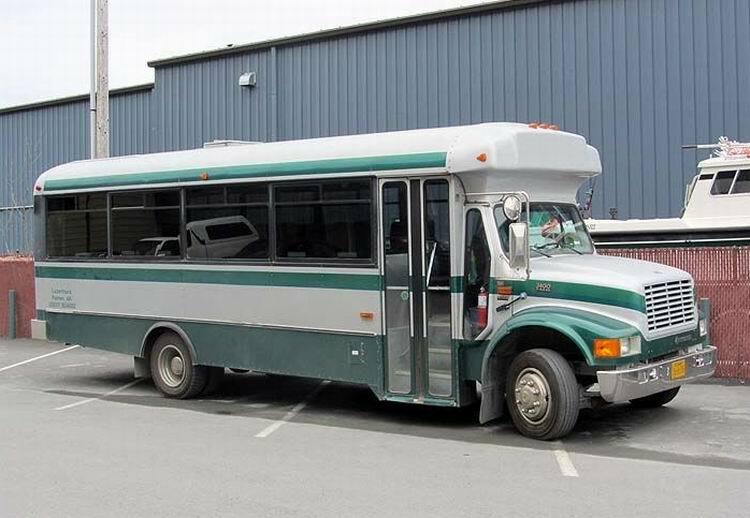 In 1991, one-third of AmTran was purchased by Navistar International, with the option to purchase the rest of the company in 1995, which was done. 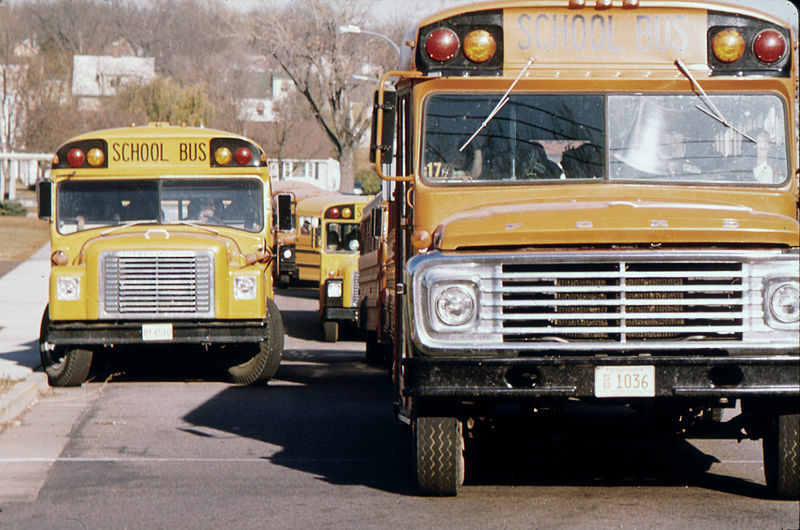 By the end of 1992, the Ward name had disappeared from the school bus product line, replaced by AmTran product lines. 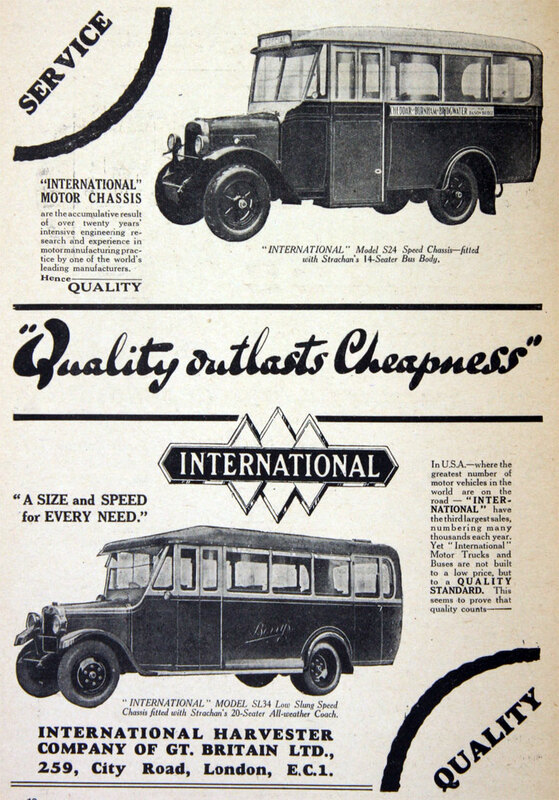 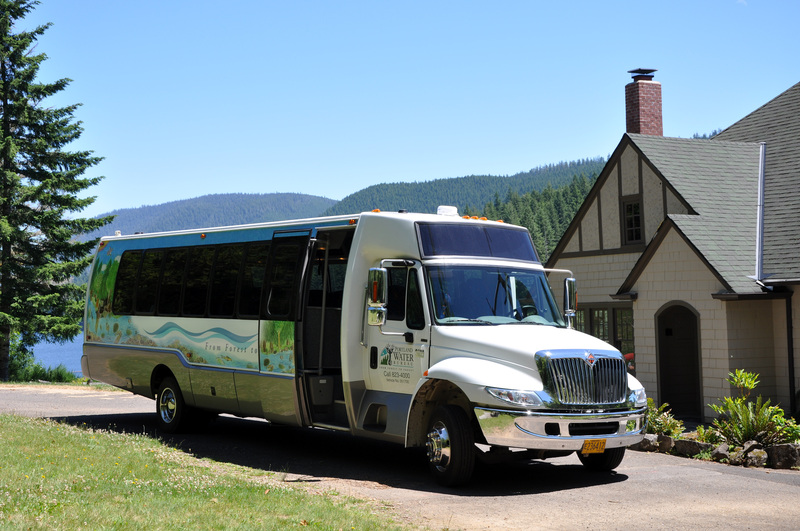 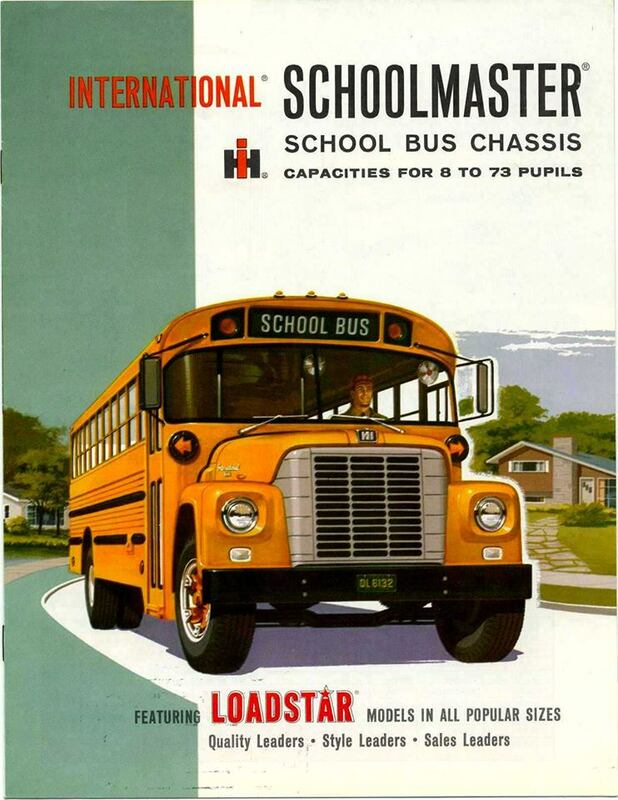 With AmTran a part of Navistar, the International-chassis buses were marketed more aggressively than their other products. 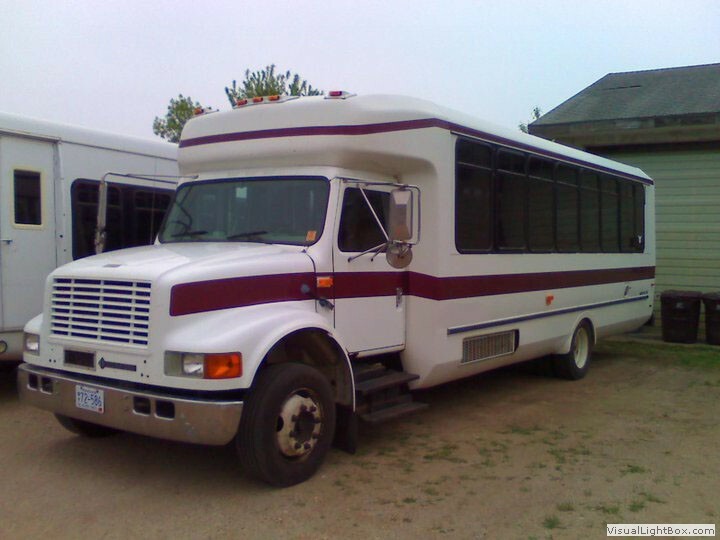 In 1992, General Motors dropped its B-series chassis (as part of a deal with Blue Bird); although the Ford B700 was an option, it was phased out after 1998. 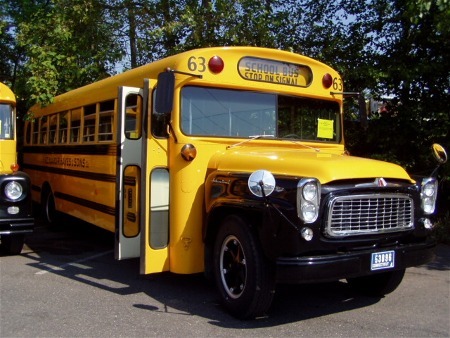 As Freightliner was the parent company of competitor Thomas Built Buses, the Freightliner FS65 was never offered with an AmTran body. 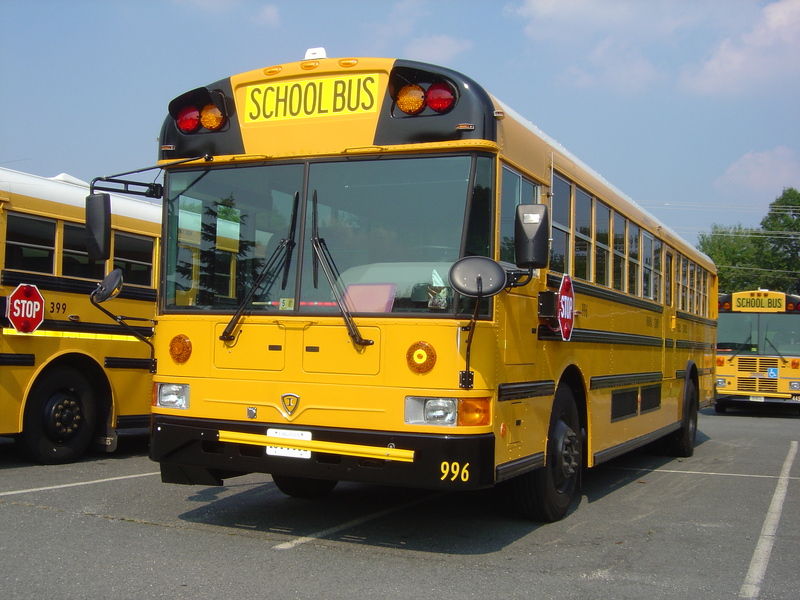 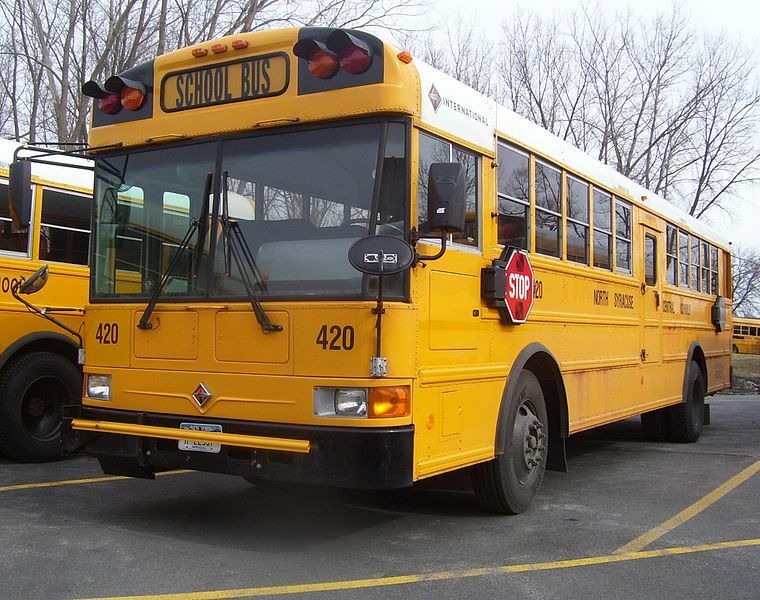 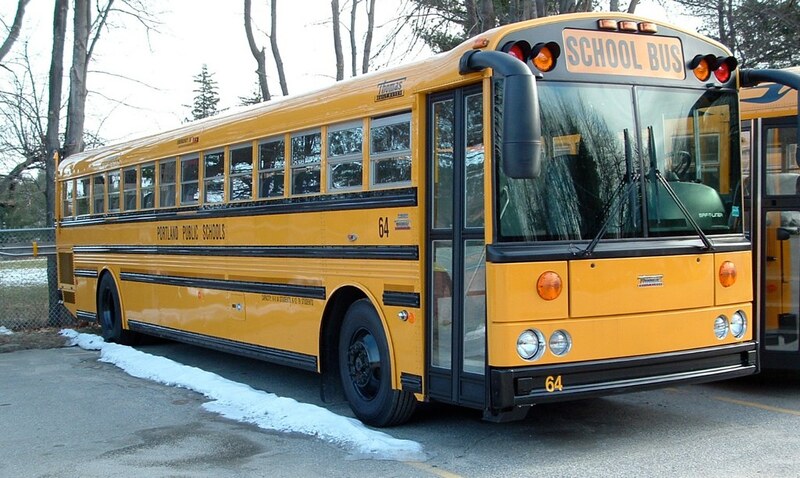 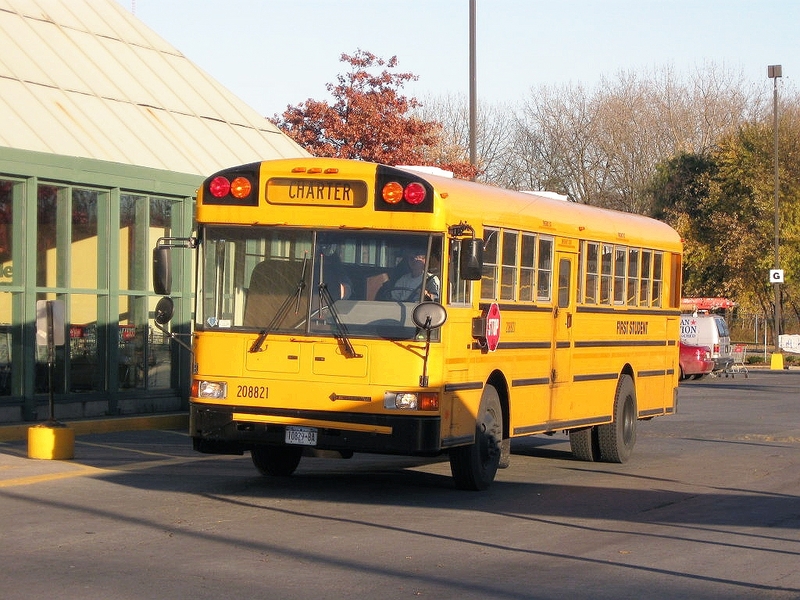 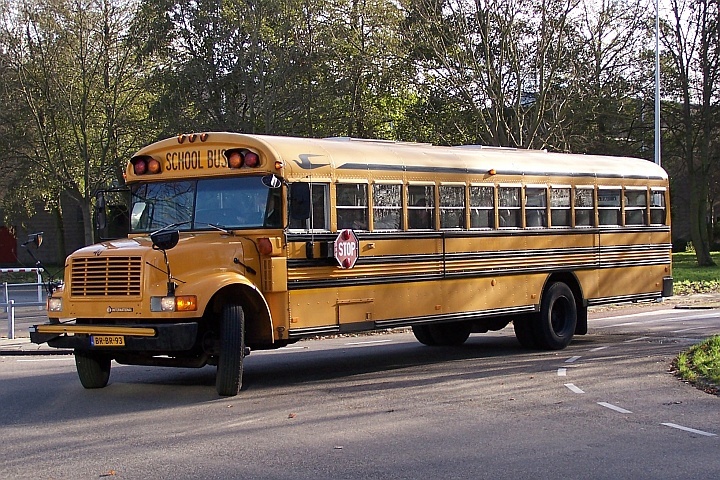 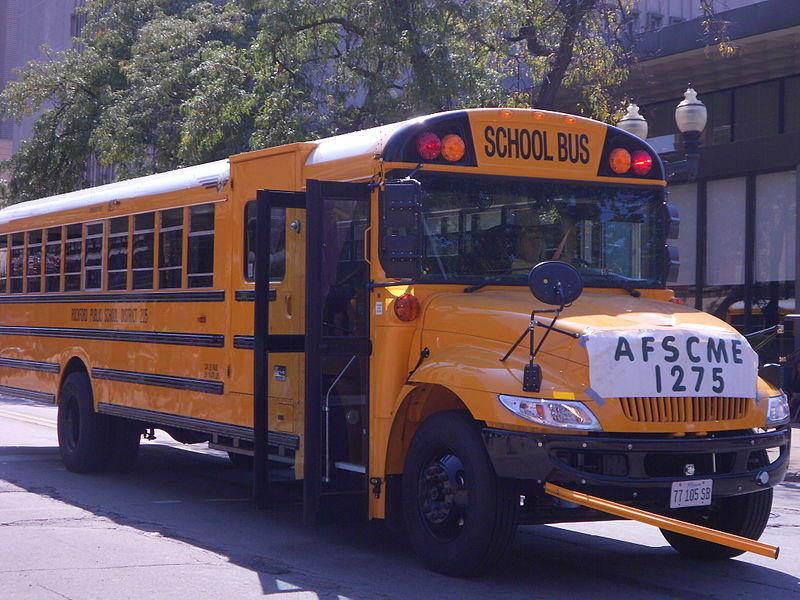 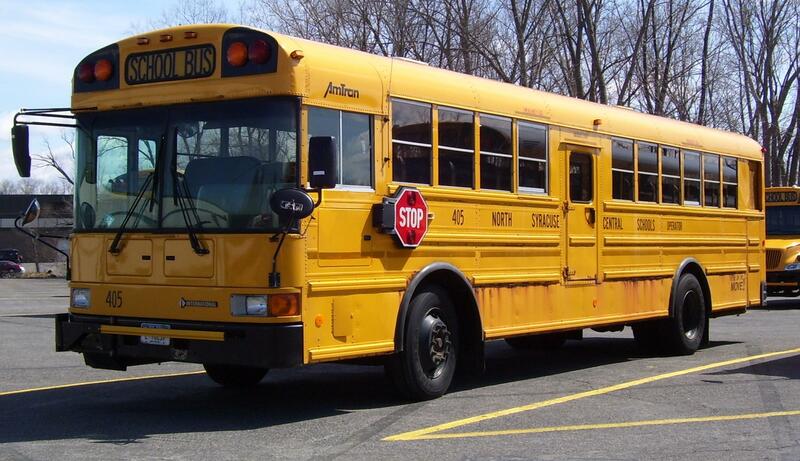 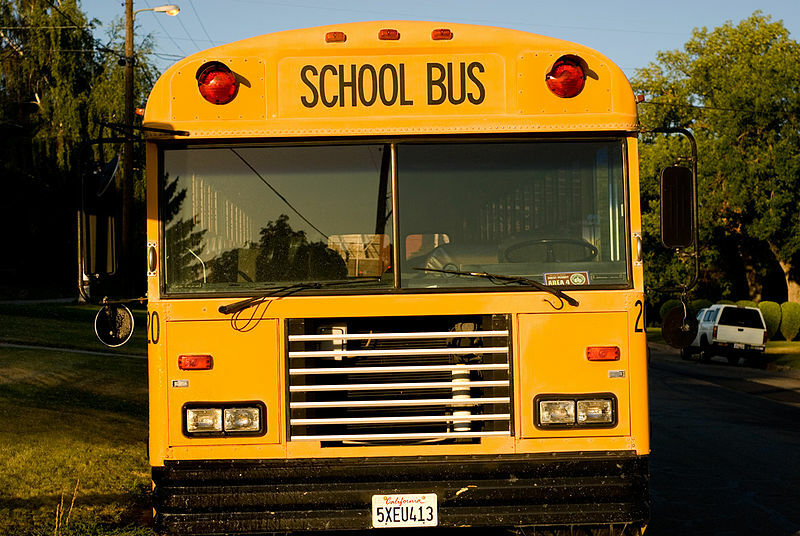 In 2000, AmTran introduced the IC conventional school bus. 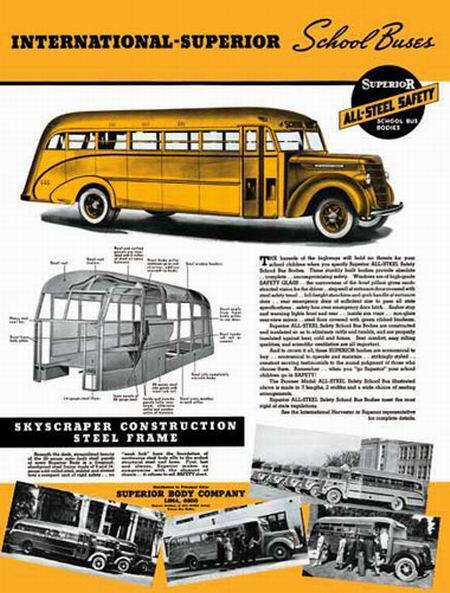 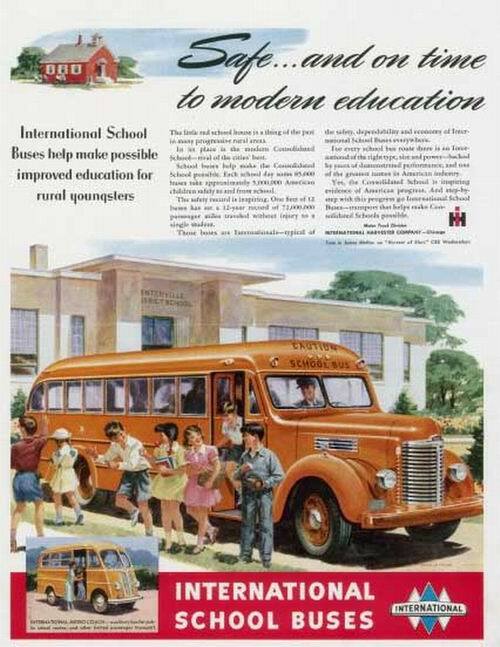 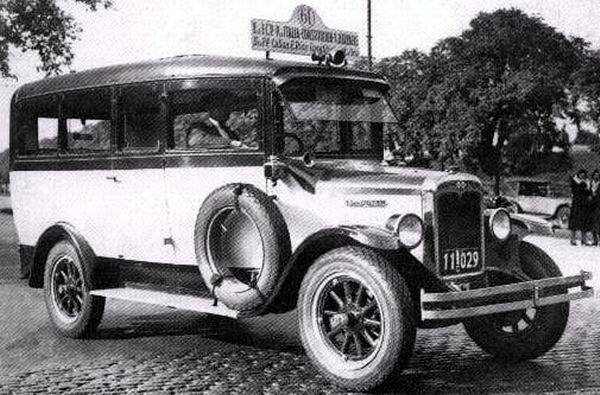 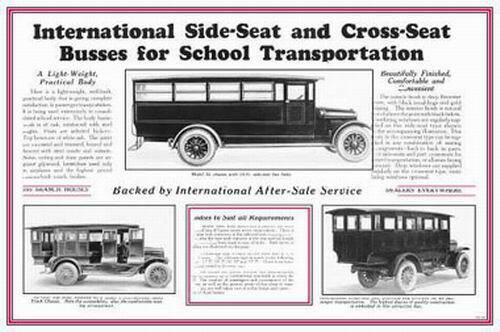 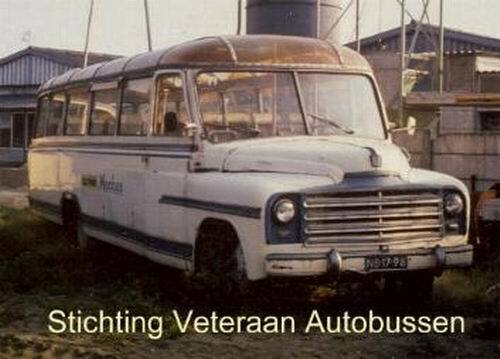 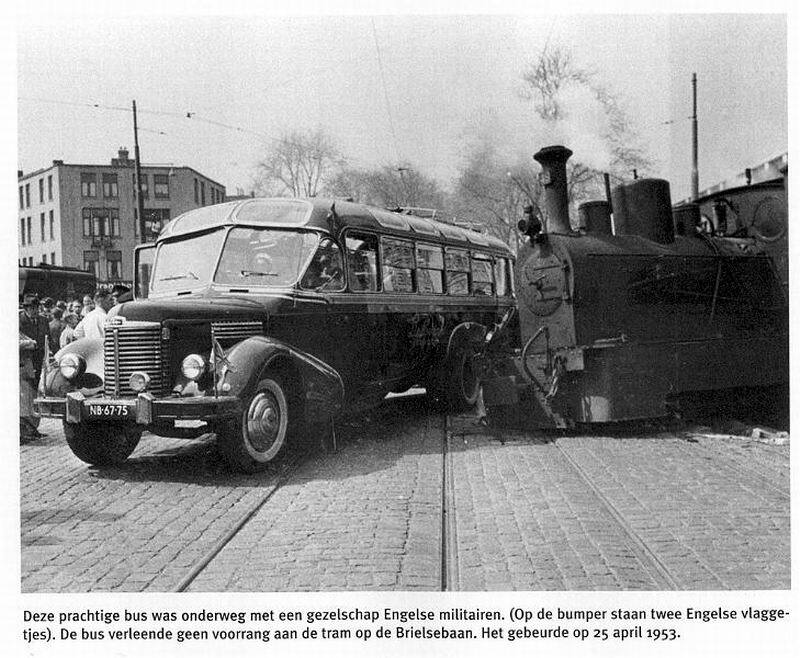 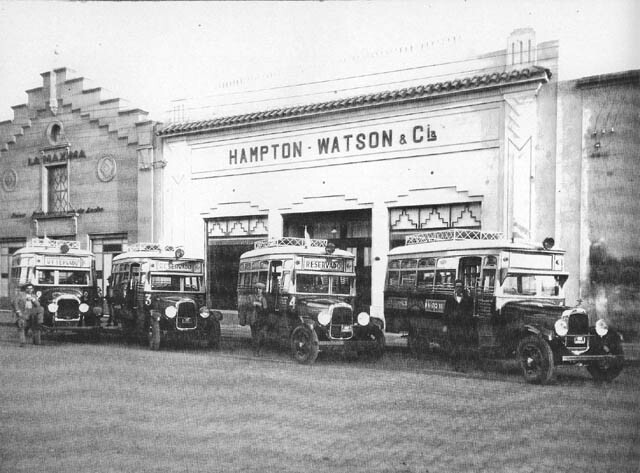 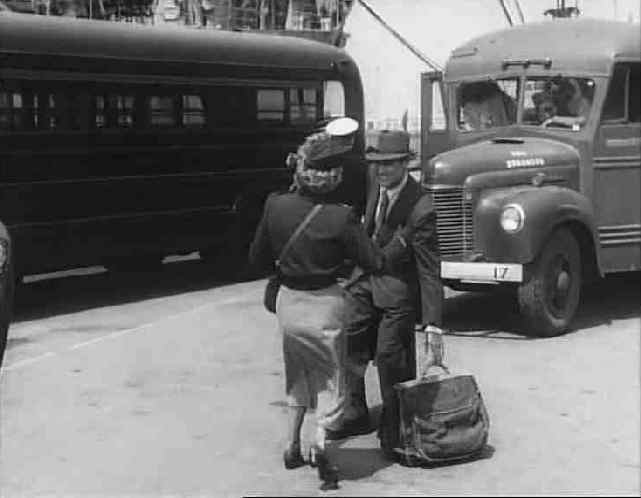 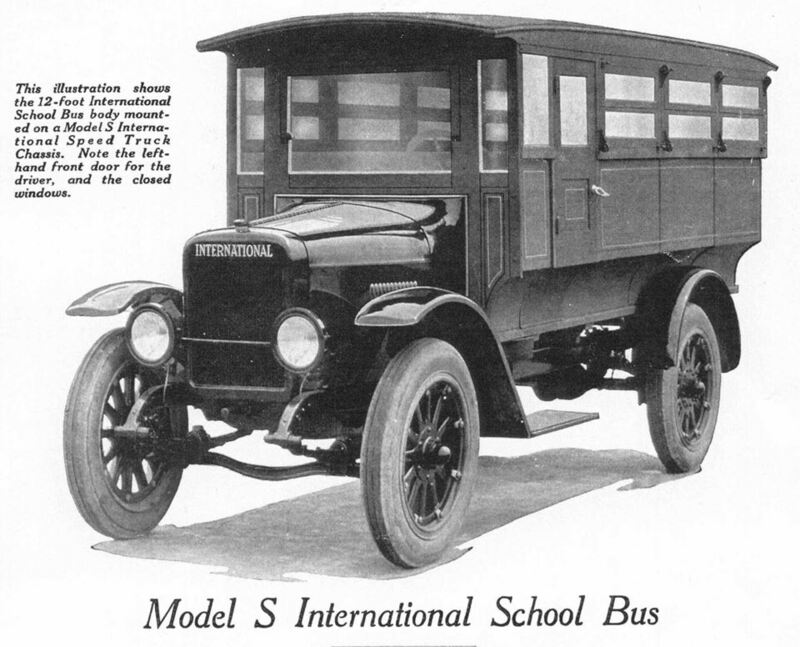 With IC standing for Integrated Coach (also “chassis”) school bus, the entire bus was now assembled under a single corporate entity. 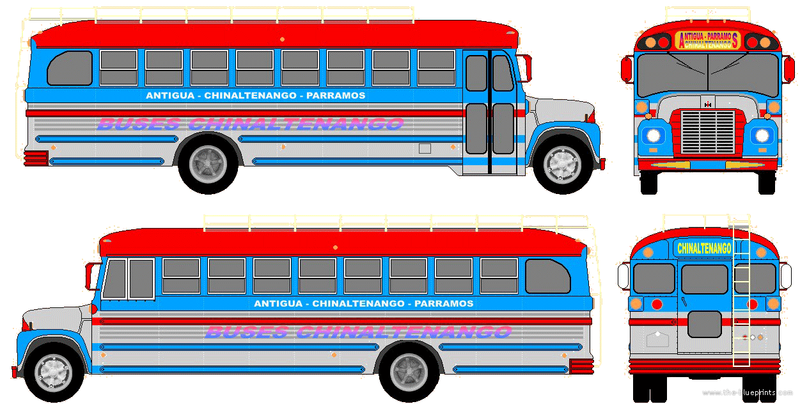 The first models were badged “AmTran”, although within a short time, the buses were badged “International” with AmTran being renamed “International Truck and Bus” late in the 2000-2001 model years. 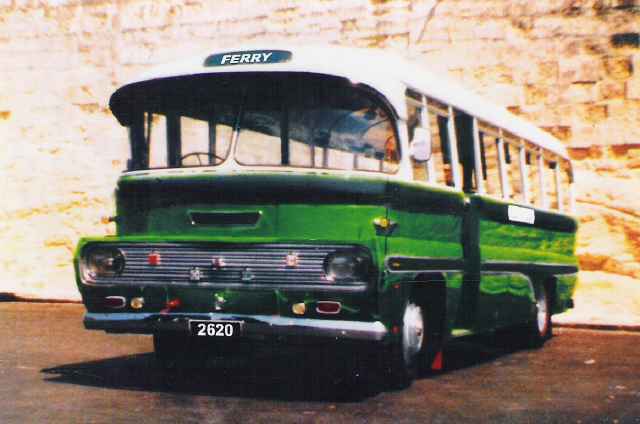 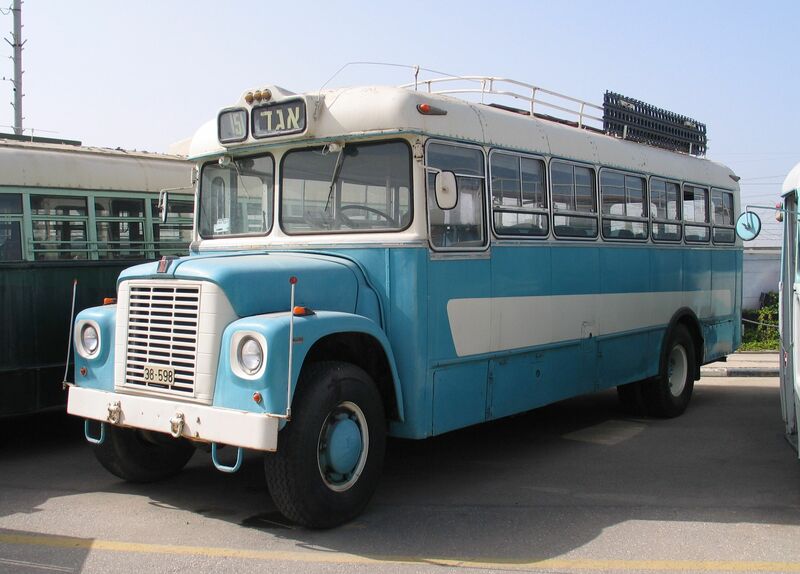 For 2002, the company’s name changed yet again to IC Corporation and the new conventional bus was re-introduced as the IC CE, giving it a common nomenclature with the FE/RE Type D buses. 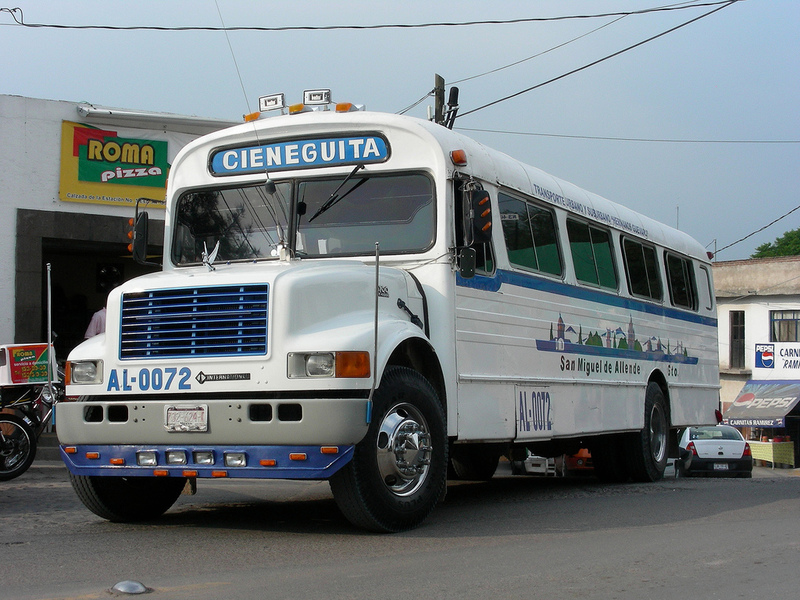 International 3300. 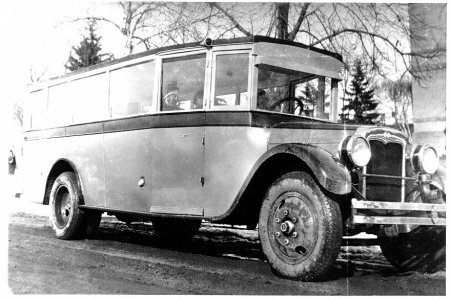 The new chassis gave the CE an all-new windshield and dashboard. 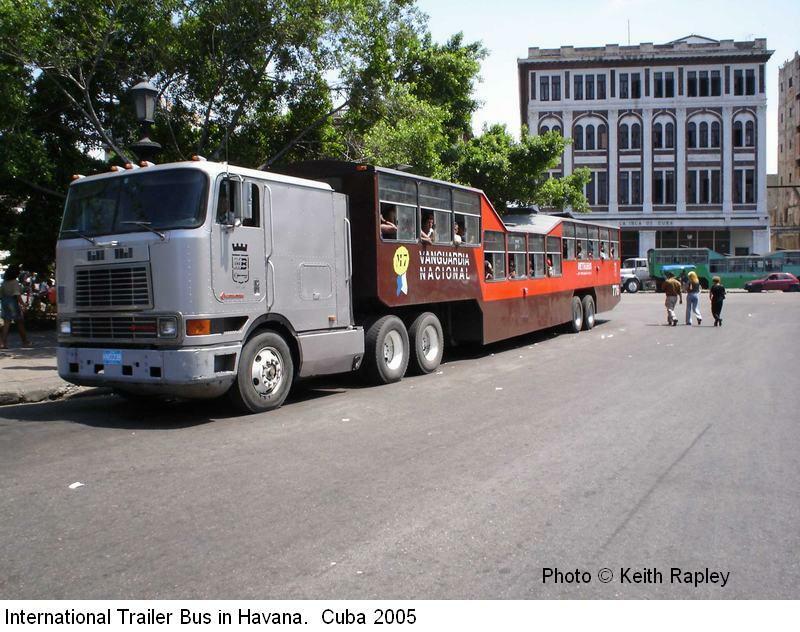 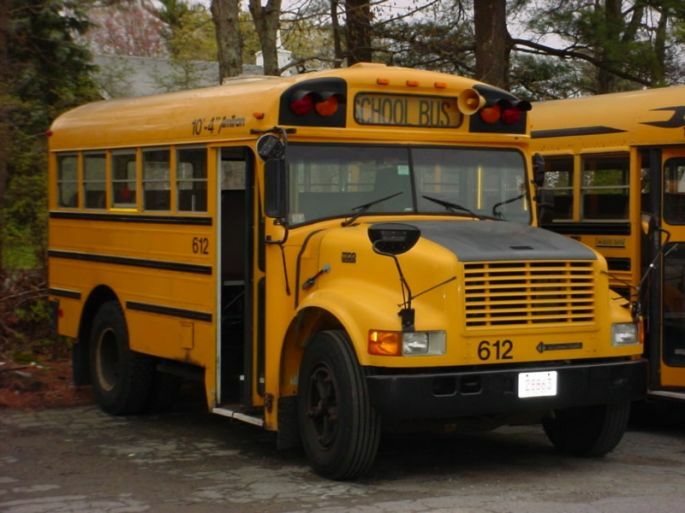 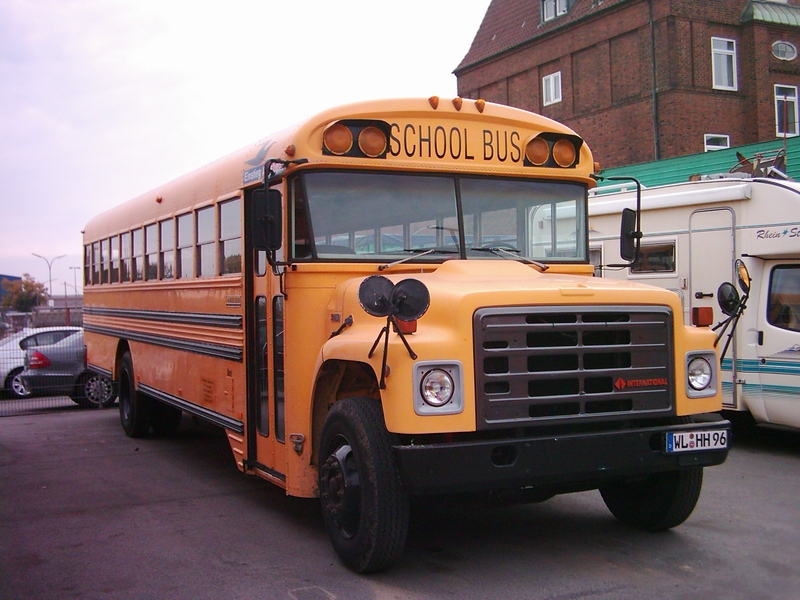 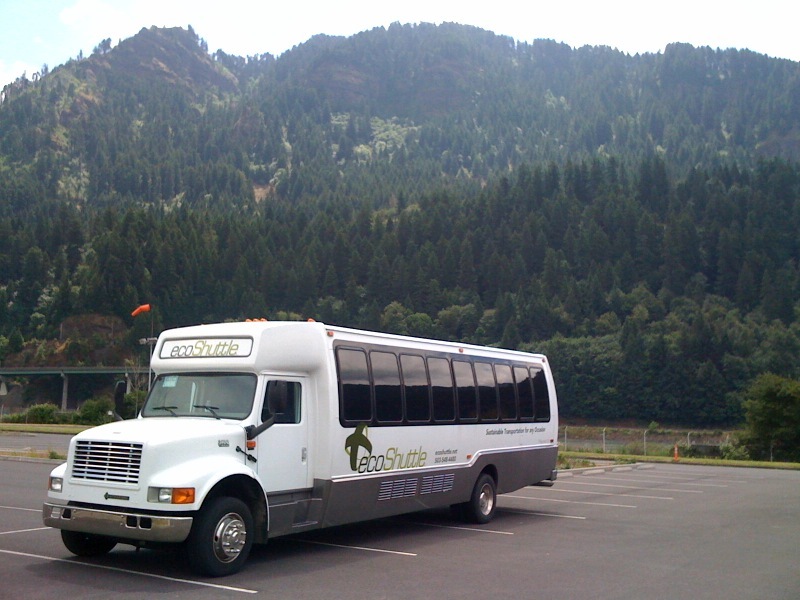 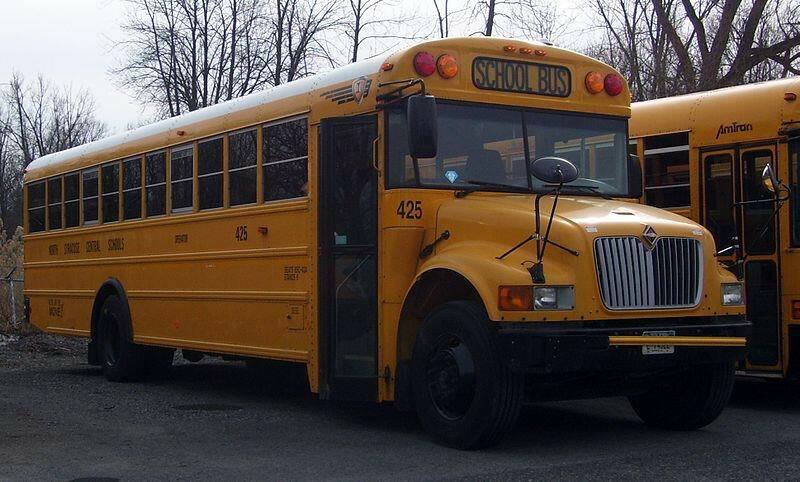 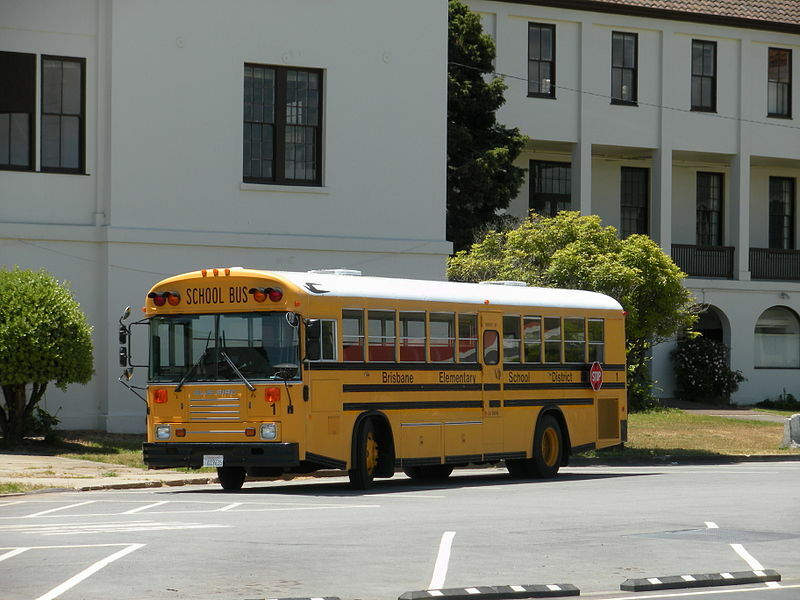 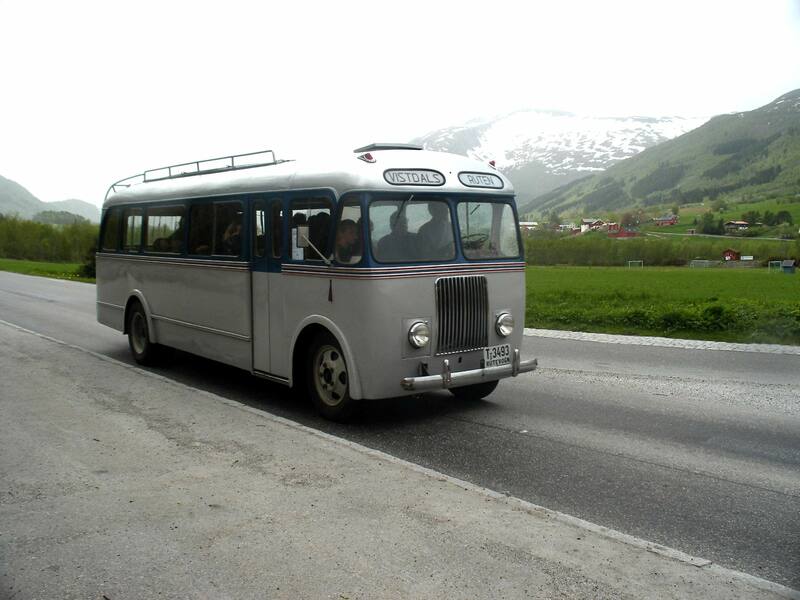 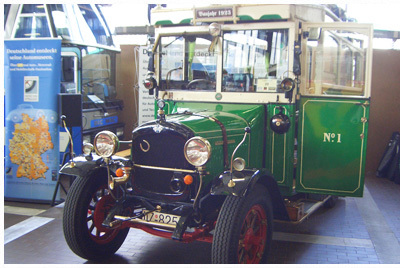 In 2006, IC introduced its first smaller bus since the 1980s, the BE-Series. 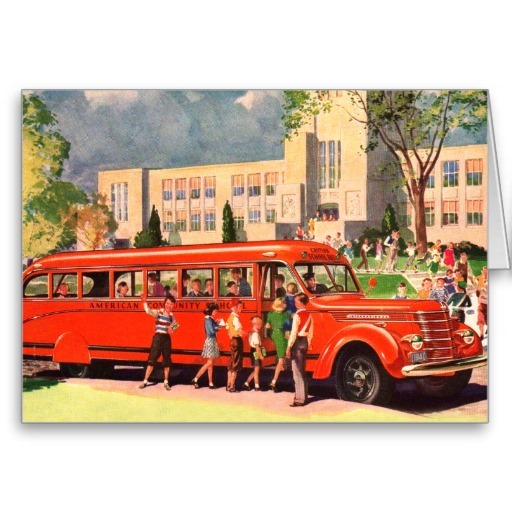 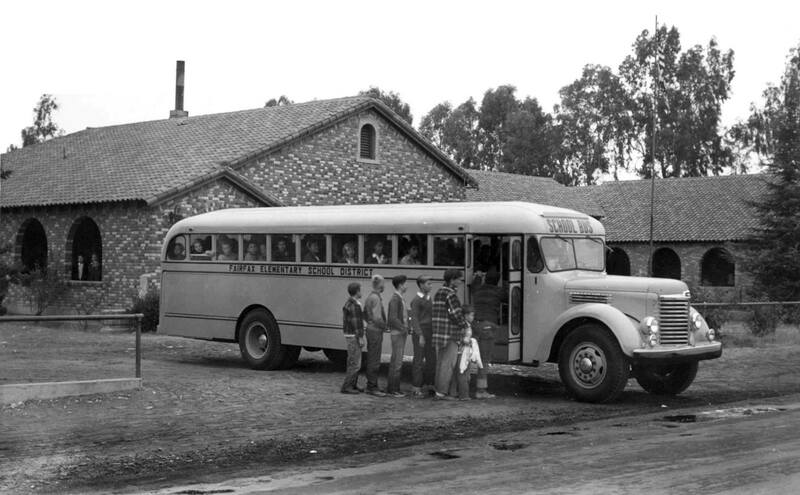 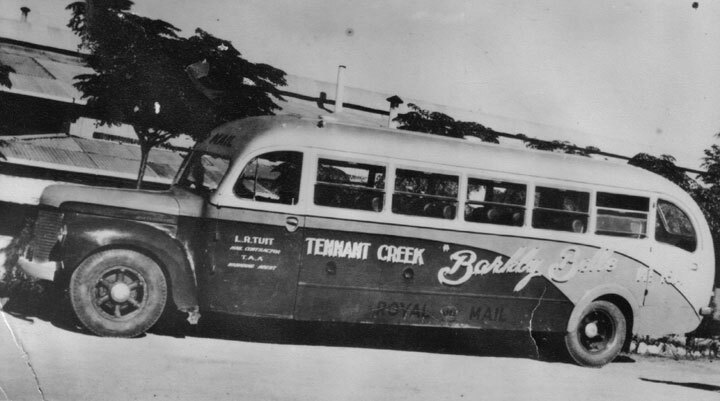 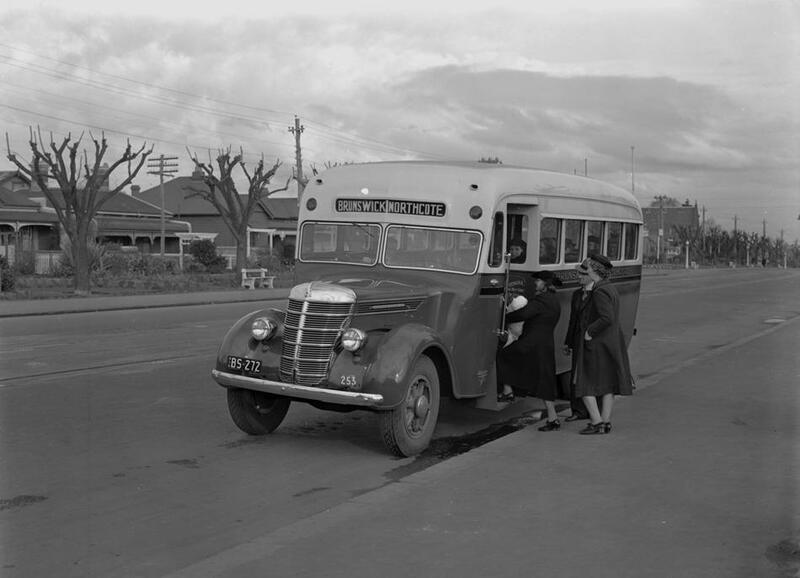 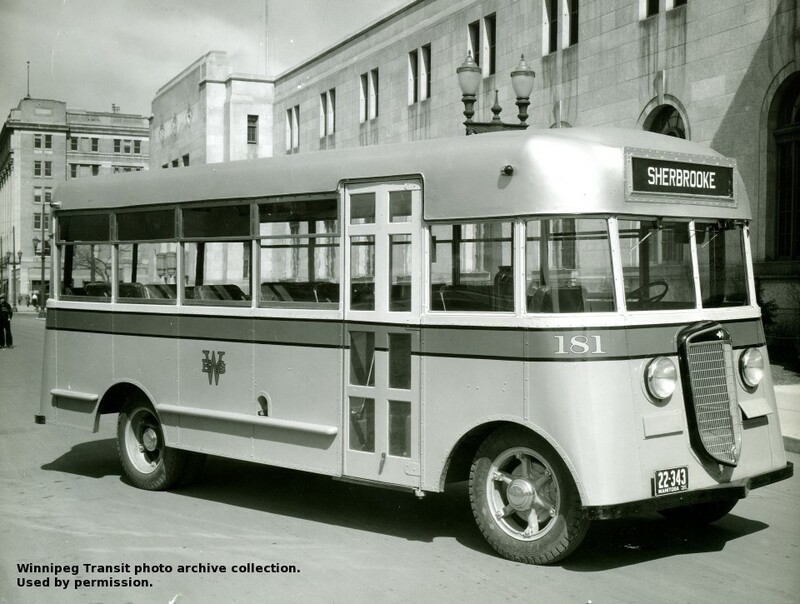 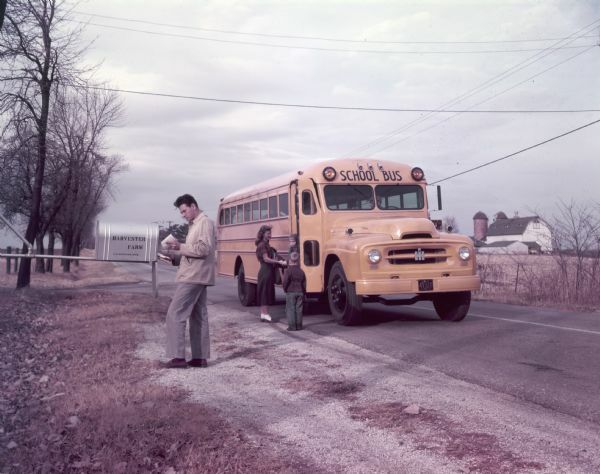 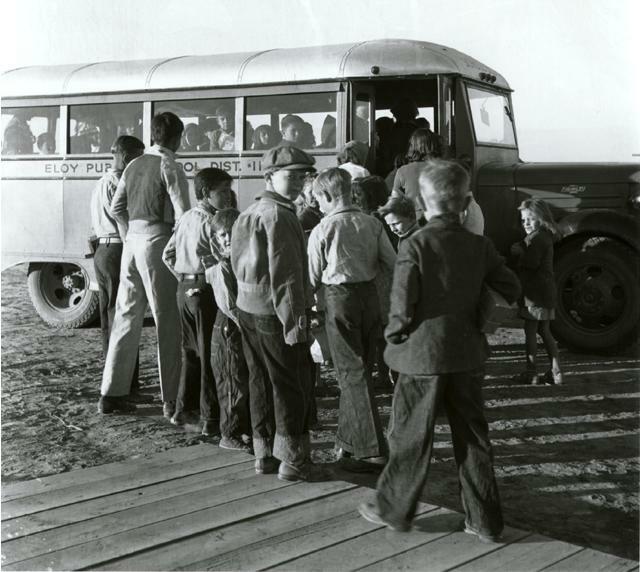 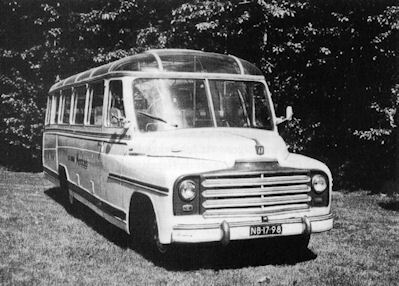 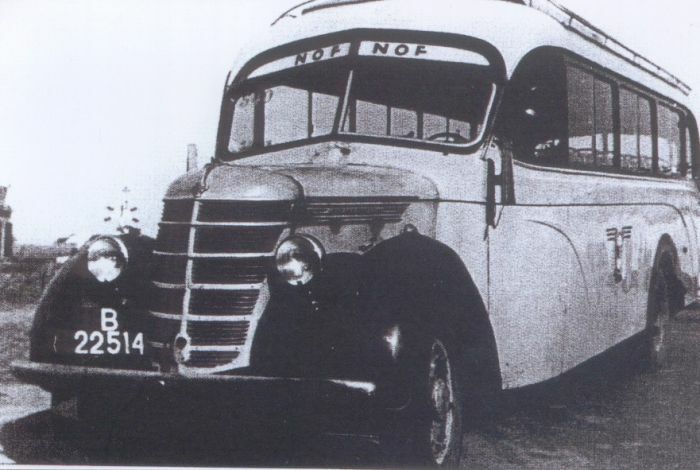 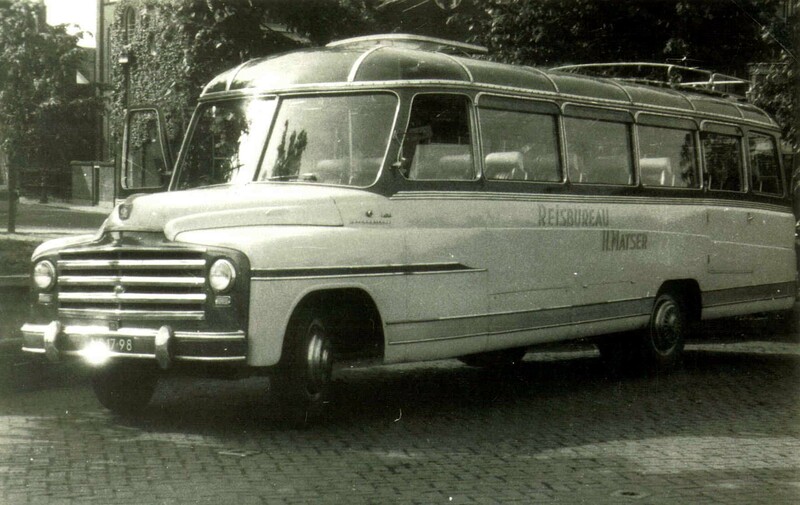 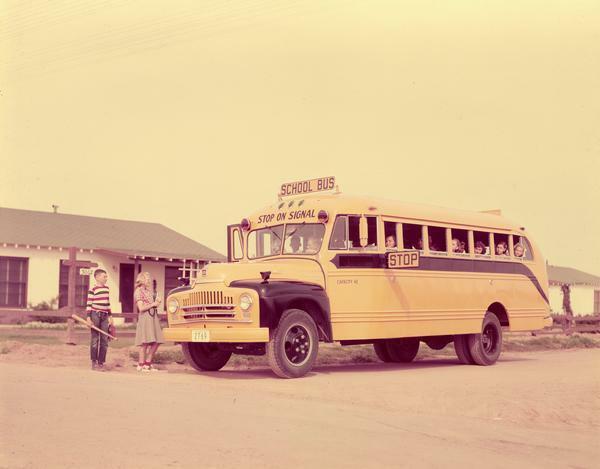 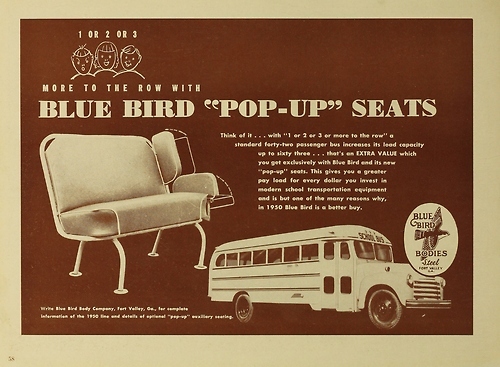 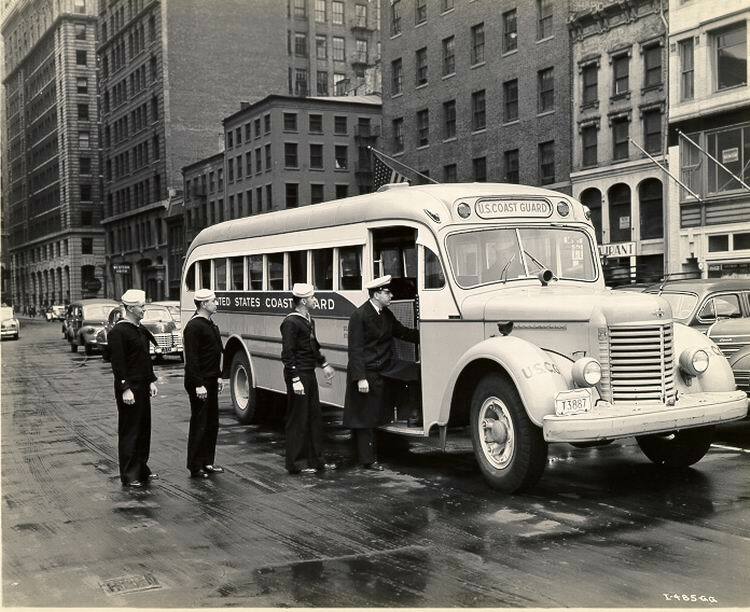 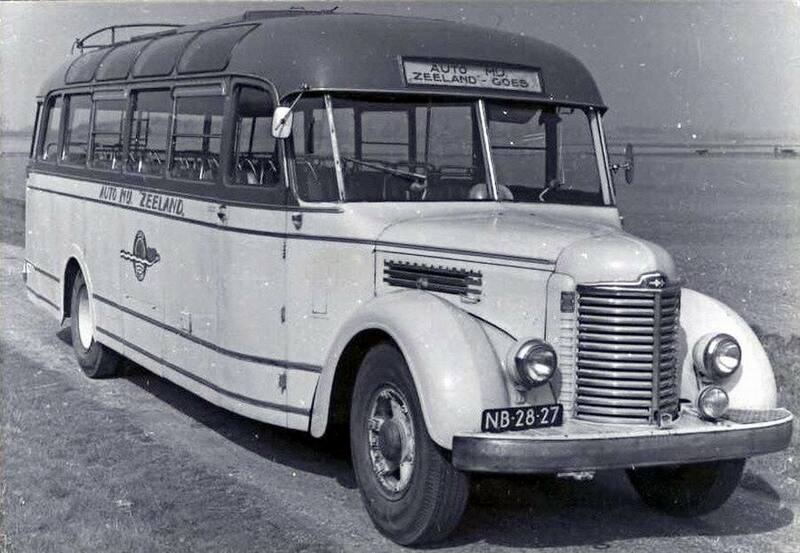 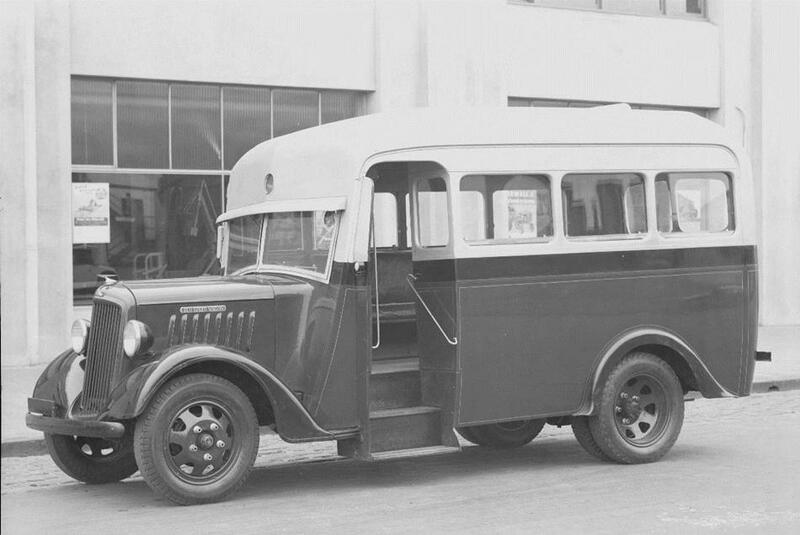 Based heavily upon the CE, the BE was aimed towards operators who transported young children and special-needs students as an alternative to buses based on cutaway vans. 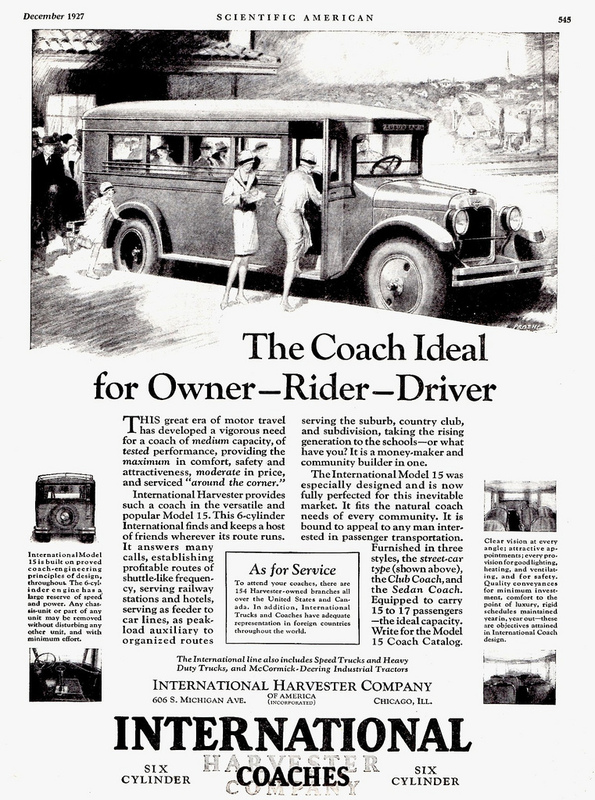 In April 2009, IC Corporation changed its name again, this time to IC Bus. 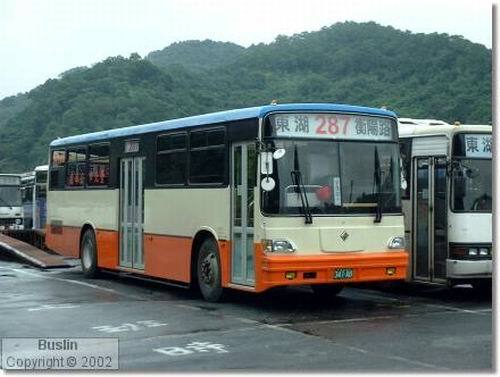 The IC FE-Series product literature was removed from the IC Bus website in early April 2010, as IC dealers started to announce its discontinuation. 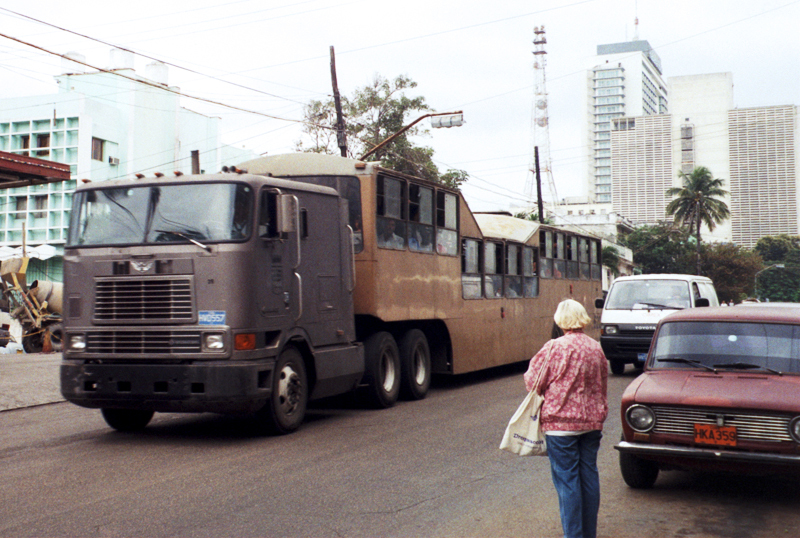 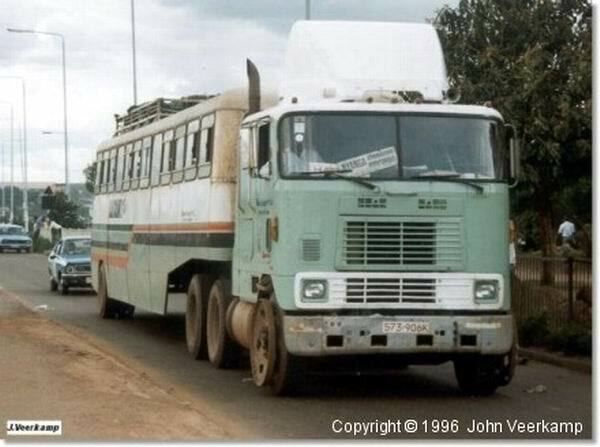 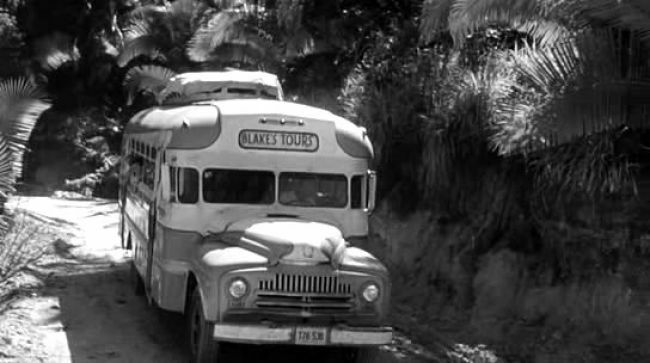 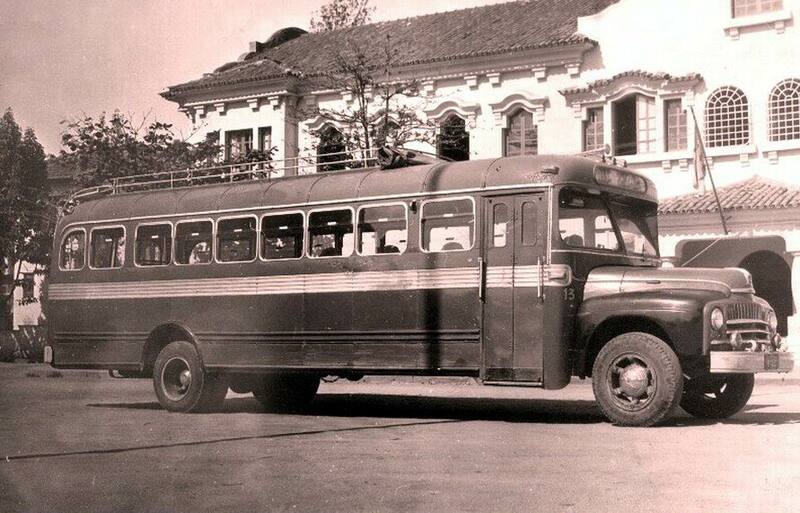 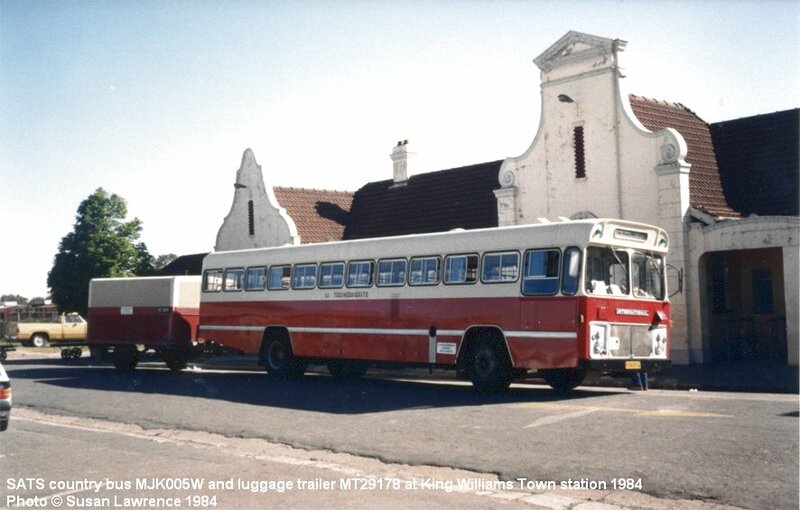 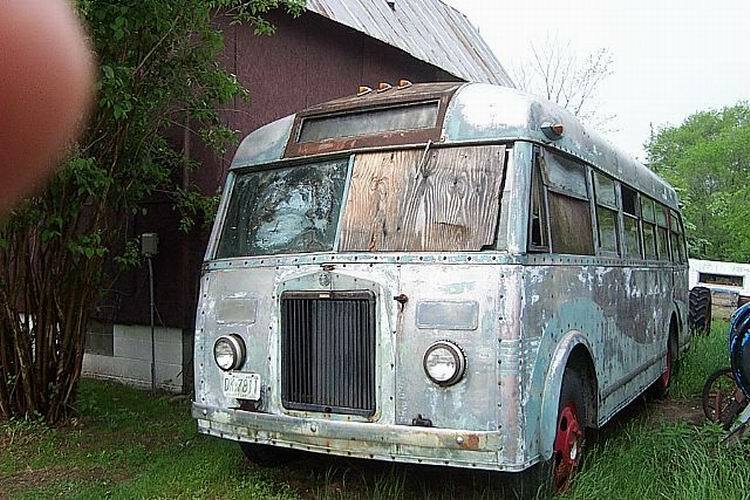 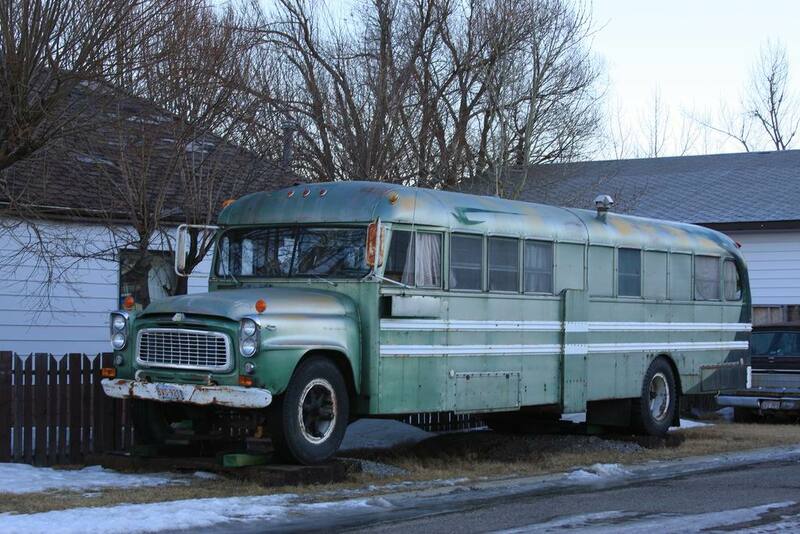 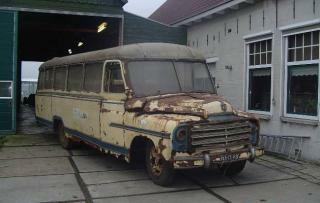 Roots of this bus can be traced back to 1990, when the Ward Senator was released. 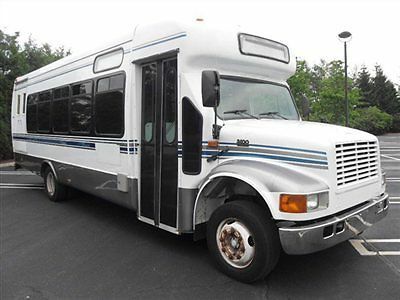 In late 1992, it was re-released as the AmTran Genesis. 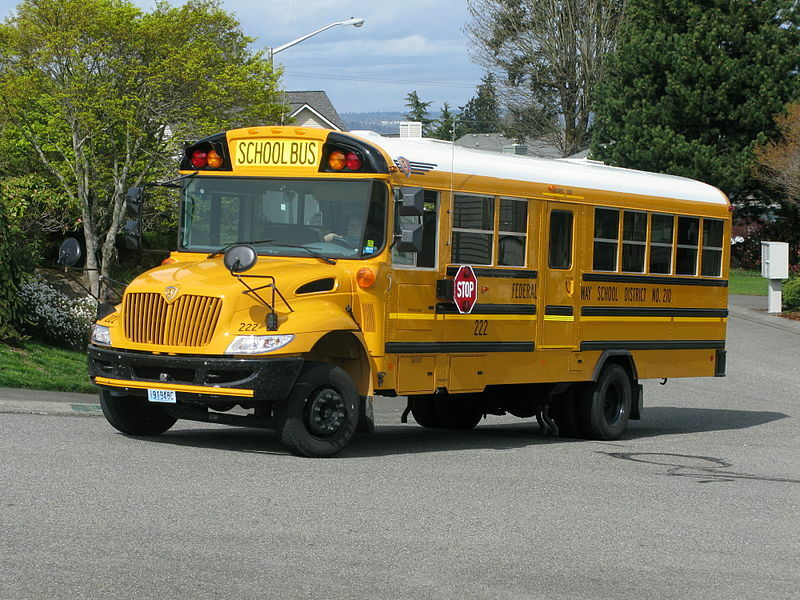 As of January 2011, IC only produces rear-engine transit-style buses (the RE-Series school bus and its commercial-use derivative). 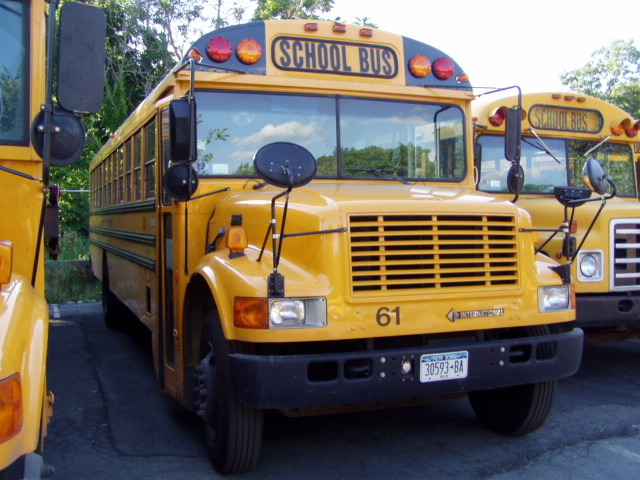 In late October 2010, the company introduced the AE-Series, its first Type A school bus since the discontinuation of the AmTran Vanguard after 1996. 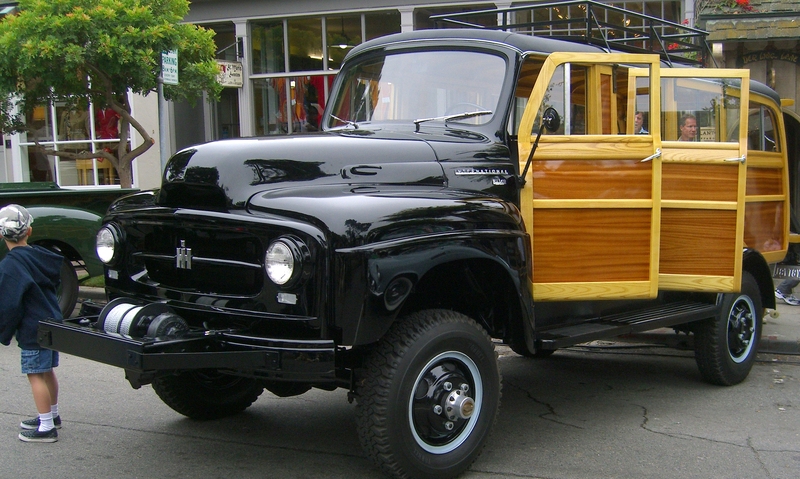 The AE utilizes a cutaway cab version of the International TerraStar chassis; the AE also features the same interior width and height as the BE and CE-Series. 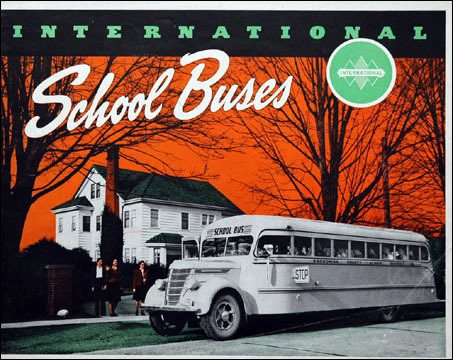 To re-emphasize the ties to its parent company, IC Bus modified its branding for the 2013 model year. 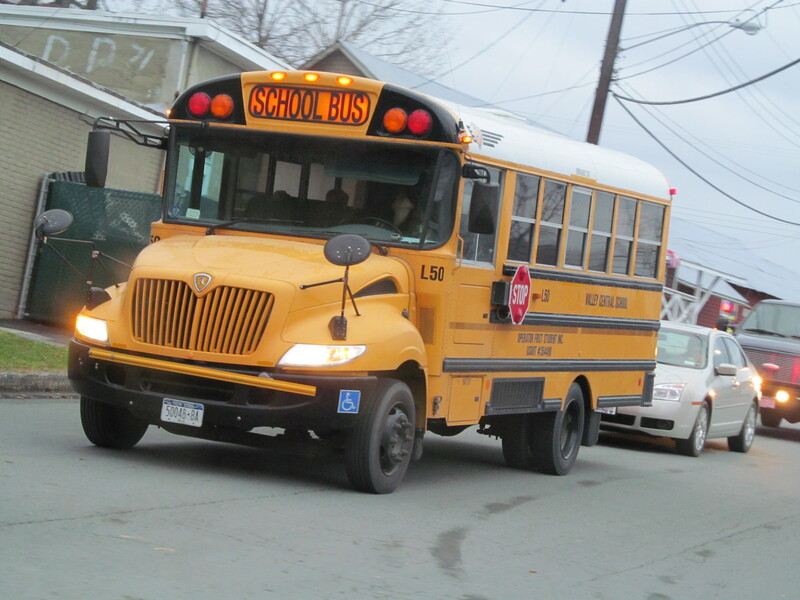 On the rear bumper, the IC shield logo was replaced with a Navistar script, which now forms the lower line of the IC Bus “wing” logo. 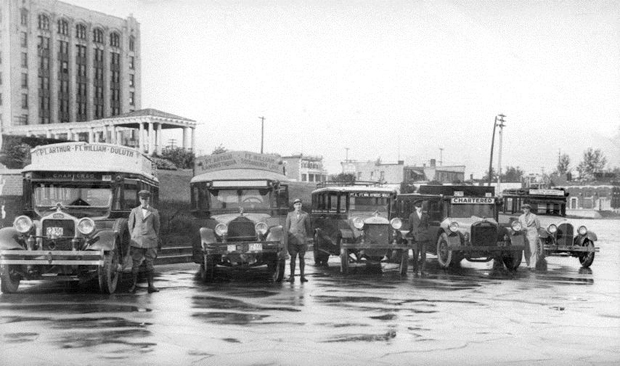 On June 5, 2012, the Tulsa, Oklahoma IC Bus assembly plant produced its 100,000th vehicle. 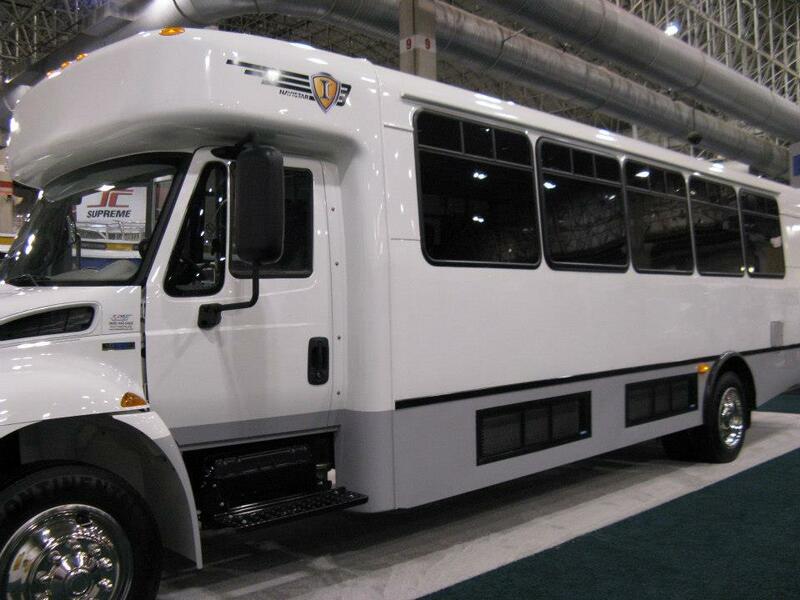 The Tulsa Bus Plant employs more than 1,200 dedicated workers who manufacture, on average, 50 to 75 buses a day. 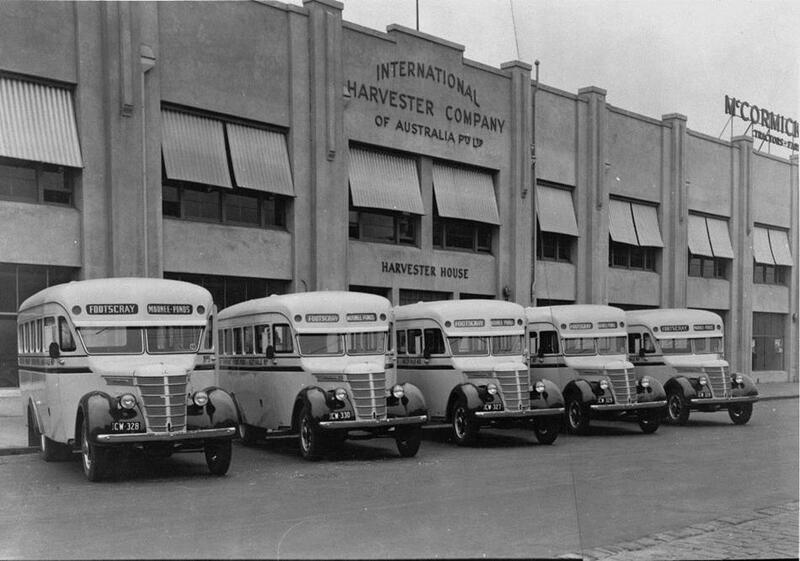 This number has grown significantly from 400 employees when the plant first opened in 2001. 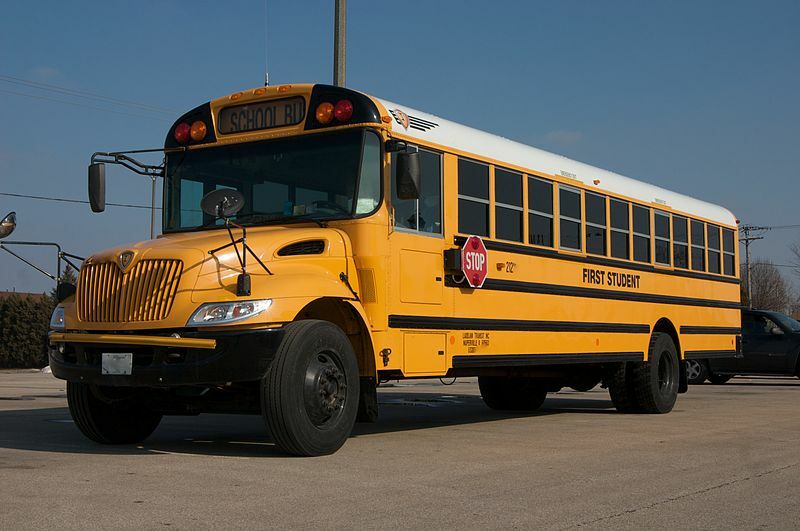 “This plant demonstrates our commitment to the school bus industry by building quality, state-of-the-art product,” said John McKinney, president of Navistar Global Bus and IC Bus. 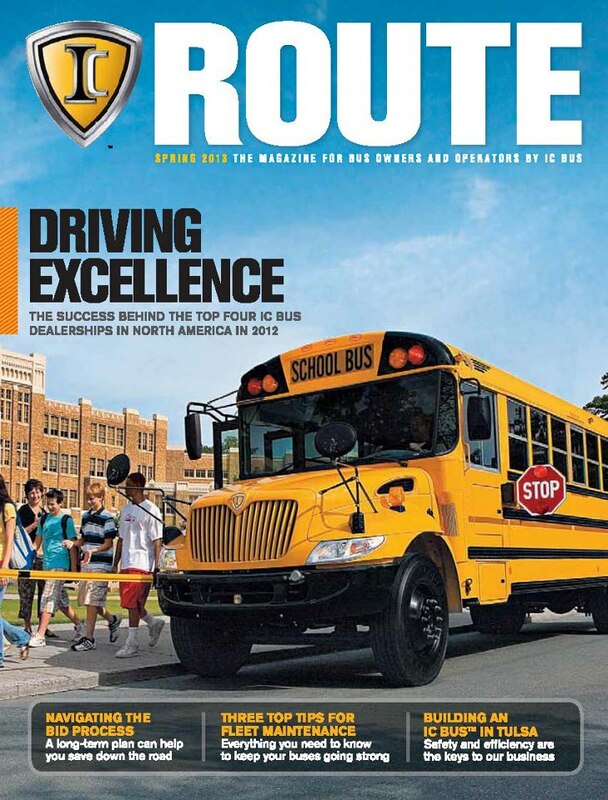 “Because of the hard work and dedication of our Tulsa employees, IC Bus is far and away the industry leader not only in pure sales volume, but more importantly in product quality.” The 100,000th bus marks more than just a milestone, but a testament to IC Bus’ commitment to the community. 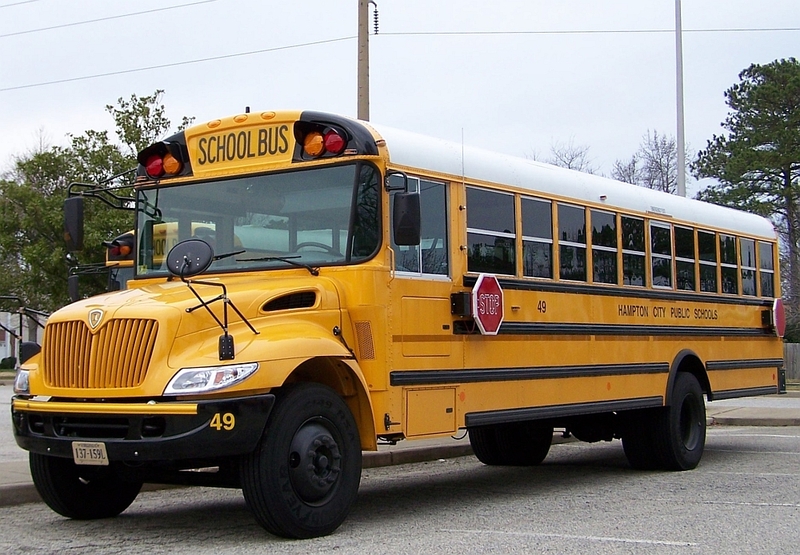 The Tulsa bus plant contributes to the current growth trend of manufacturing in the U.S., which is illustrated by the more than 1,200 local skilled and office workers there. 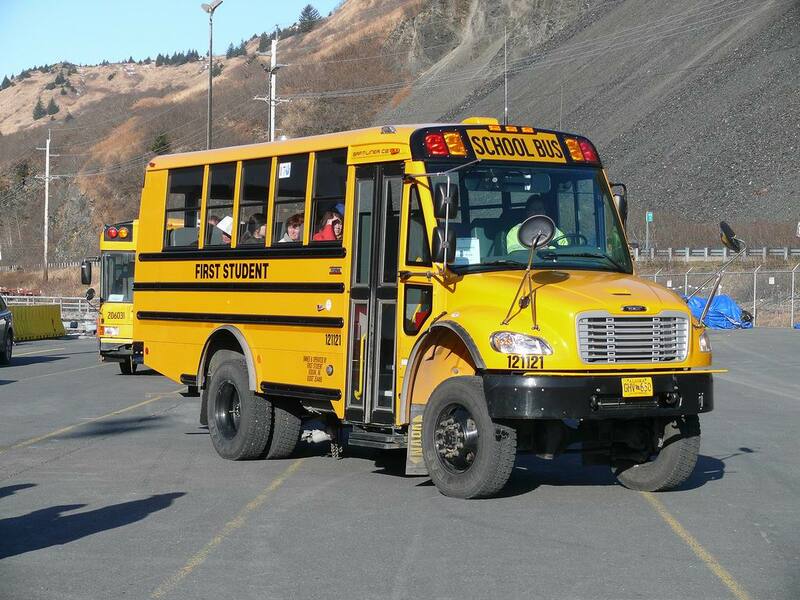 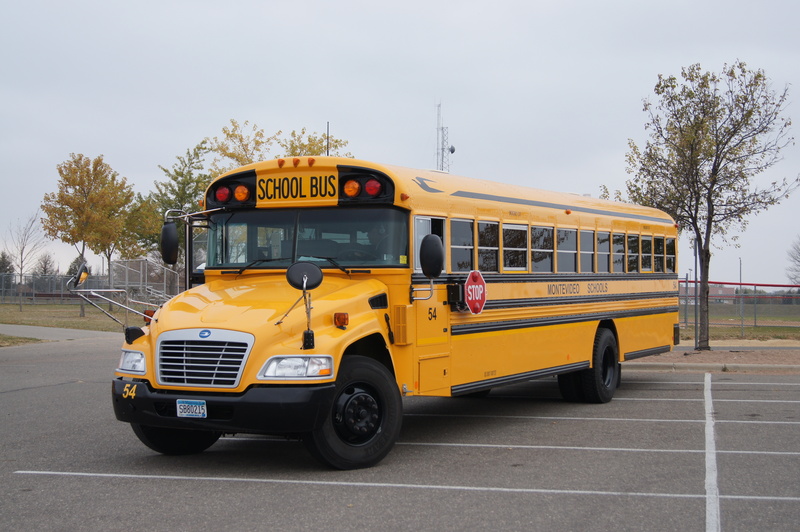 On September 3, 2013, Navistar announced in a press release that as part of an expansion of its product lineup, the Cummins ISB 6.7 would be added as an option to the CE-Series school buses starting with 2015 model-year vehicles; initial production is slated for January 2014. 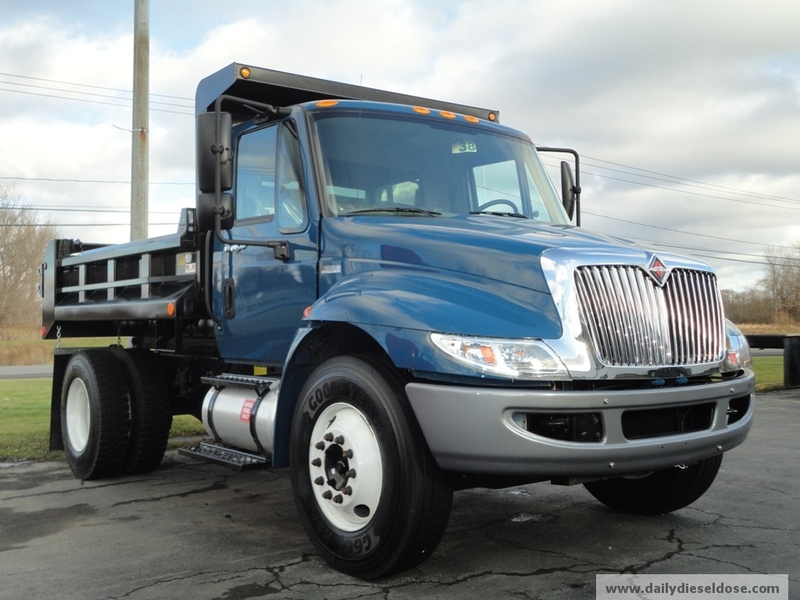 Alongside the current Navistar engines offering EGR emissions systems, the Cummins ISB is the first medium-duty Navistar vehicle (alongside the corresponding International DuraStar) to offer a SCR emissions system for the diesel exhaust. 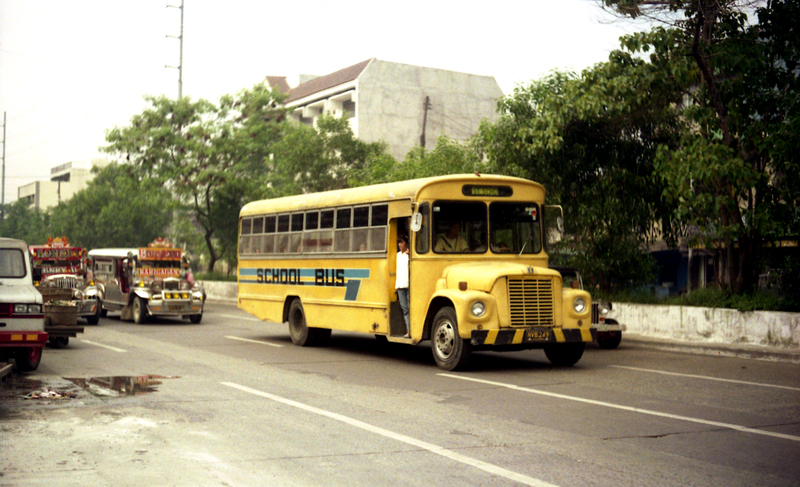 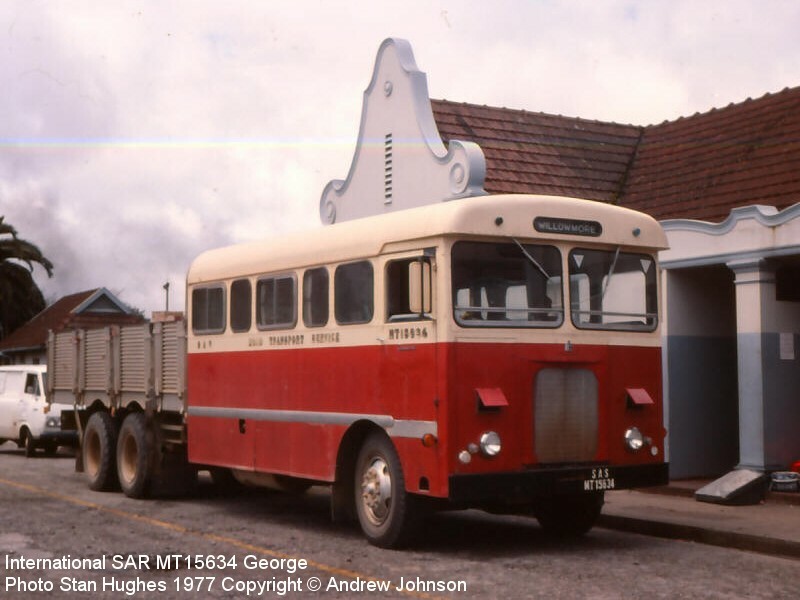 1974 A Ward IH (left) and a Wayne Ford (right). 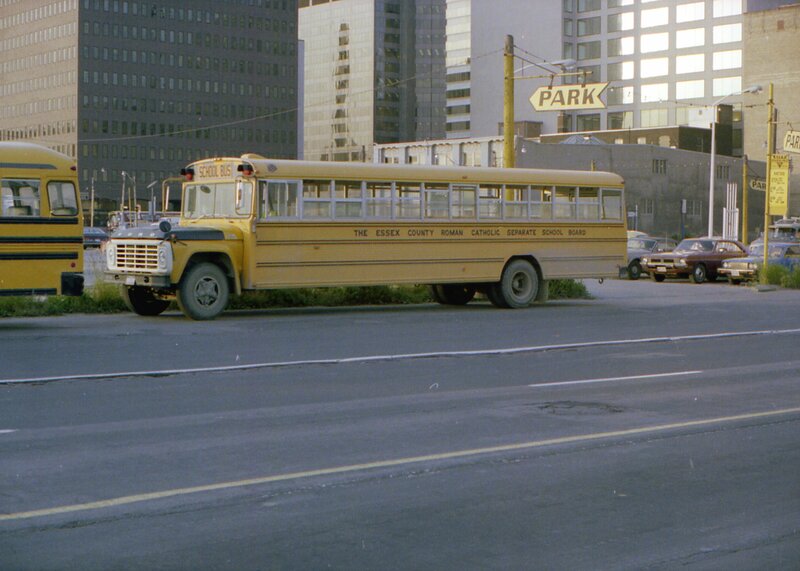 1977-1979 Canadian Welles International Lifeguard in Toronto, Canada on Ford B700 chassis. 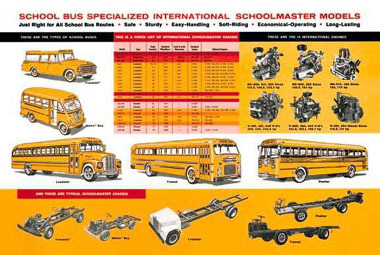 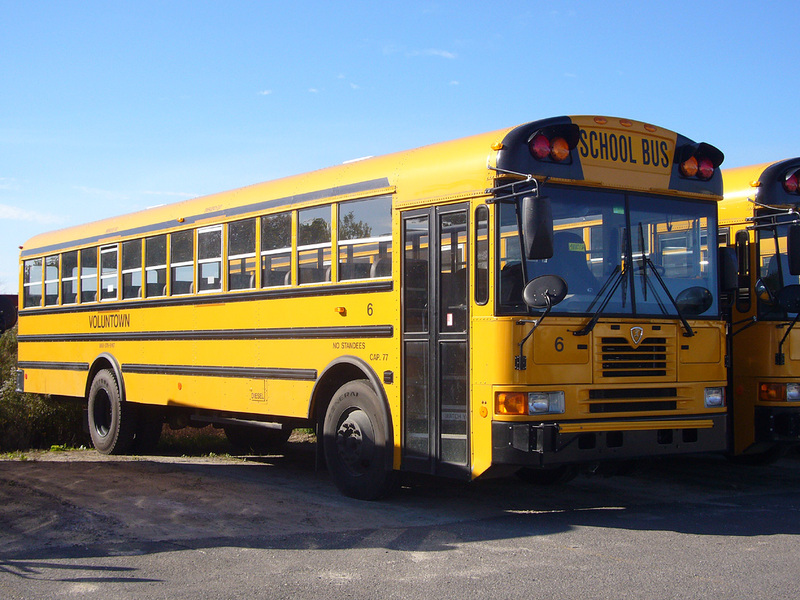 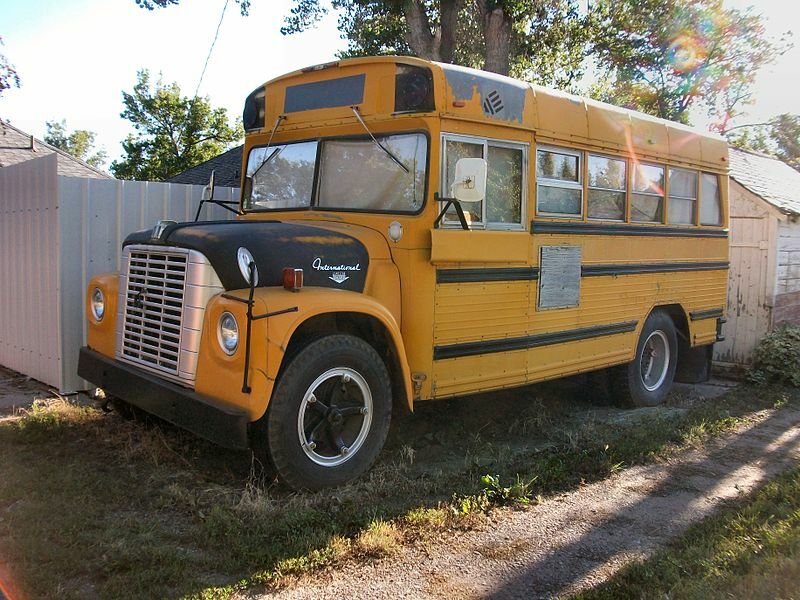 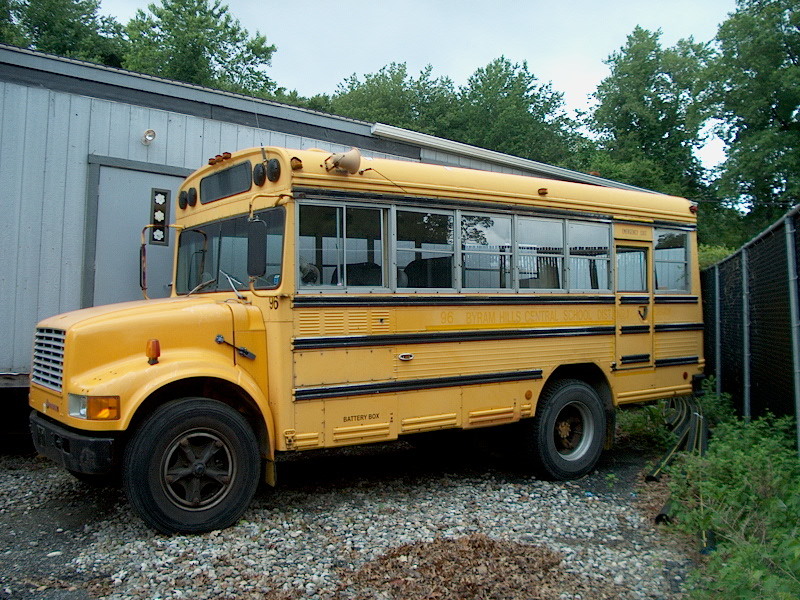 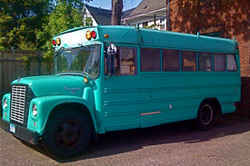 2008-2010 International Blue Bird Vision conventional-style school bus.